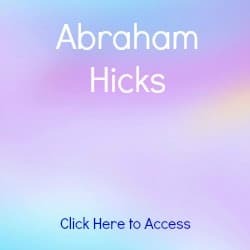 After reading about Abraham's Channelings, you can find more information on Esther and Abraham at Abraham Hicks quotes, publications and teachings. 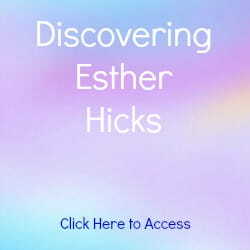 You can also find pages on Discovering Esther Hicks, Esther and Jerry with Theo and Abraham Meditations. It's not necessary, but you may like to start here to get the full story. The very first time Abraham used Esther Hicks to translate their message verbally was one day while Esther and Jerry were driving on a freeway in Phoenix. They were rounding a corner on the Interstate that's not very well banked and there were big trucks on either side of them whose drivers had both decided to cross into Esther and Jerry's lane at the same time. They did speak and their words were: "take the next exit." They did take the next exit, parked under the freeway and Jerry talked to Abraham for the first time. Initially, Esther made Jerry promise that he wouldn't tell anyone because it was such a bizarre experience for her. It is clear to Esther that Abraham came forth due to the intensity of Jerry's questions and his desire to know the answers. It was different for Esther, she didn't have a great deal of interest in the metaphysical side of life. Abraham has told Esther and Jerry that they made a great combination for enabling Abraham to visit because of Jerry's desire and Esther's relaxed disposition and her ability to quite her mind, think in the "now" and not hold resistant thoughts. They decided to share their experience with the couple that had told them about Sheila Gillette and Theo and a few other friends. They all began to regularly share in the Abraham experience. Jerry and Esther then moved from Phoenix to San Antonio and while they were unpacking in their new apartment they talked about publishing the book that Abraham had written, but they didn't have any idea how to go about publishing a book. They then came across a letter that Robert Butts (Jane Roberts' husband) had sent to them a couple of years earlier in response to a letter from Esther. There was a brochure for the Seth Center in Austin with the letter and Jerry decided that perhaps someone there would know how to get a book of this nature published. They made an appointment with Dr Maude Cardwell of the Austin Seth Center. During the visit Jerry offered Maude the opportunity to speak with Abraham. Esther says "I could've killed him because it was like sort of our secret". Maude enthusiastically accepted the offer to meet Abraham and spent hours talking with them. She then told Jerry and Esther of an International Seth Conference they were having in Austin that very weekend and asked them to come along and present. You can't imagine Jerry passing that up can you? There were about 200 people at the conference and this was to be Abraham's first public presentation. Esther describes the people at the conference as receptive, eager and full of questions. After this initial presentation, it snowballed, and their phone didn't stop ringing. One of the guests at the conference lived in San Antonio and called and asked Jerry and Esther to join them at their weekly meeting. This is how it all began. Learn more about Esther and the Seth books or read books by Jane Roberts. For more information on Esther and Abraham read about their quotes, publications and teachings.